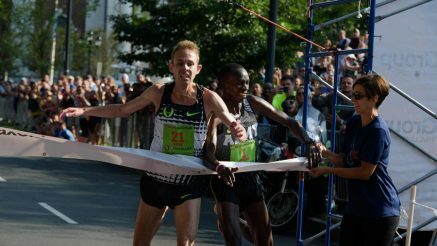 4th September – Galen Rupp (USA) and Jordan Hasay (USA) marked the ‘Labor Day’ holiday in the US by winning National 20k titles. Both are in the midst of their preparations for next month’s Chicago Marathon and although in contrasting styles they showed that they are rounding into shape nicely. Galen was involved in a sprint for the line and then a photo finish before being confirmed the winner while Jordan gave a masterclass in the second half of the race to come home comfortably clear. Their winning times were 59:04 and 66:35 respectively and they will both be racing again in two weeks at the Philadelphia Half Marathon.